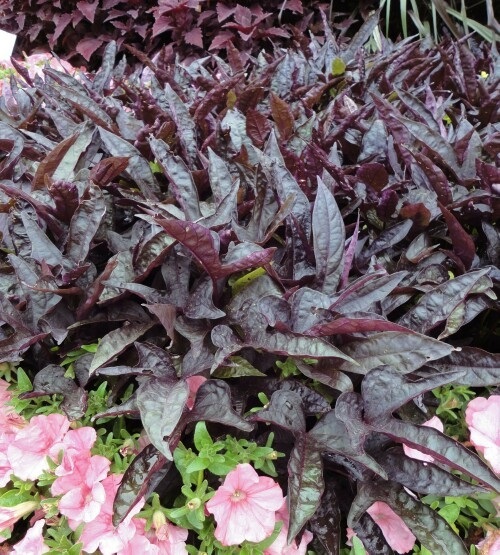 Trailing vine with large dark purplish black lacy foliage. Use in baskets, planters or as a unique ground cover. Grows best in full sun to part shade.